SYRACUSE, N.Y. - Just about everybody knows that households, lawns, gardens, boats and cars can generate unwanted pollutants. But it is difficult to imagine the impact of one homeowner's seemingly minor actions multiplied by millions of likeminded people in the United States. T he combined effect of these individual "discharges" is significant. Resource professionals call it "non-point source" (NPS) pollution, meaning it arises in the course of everyday activities, and does not originate from a single source, such as a factory discharge pipe. 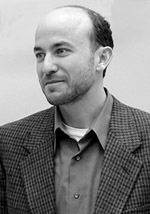 Theodore A. Endreny, an assistant professor at the SUNY College of Environmental Science and Forestry (ESF) who specializes in water resources, points out that non-point source pollutants are the primary reason about 40 percent of the nation's lakes, rivers and estuaries fail to meet clean water standards. The water is suitable for drinking only if it is treated. Community members can take efforts to curb these pollutants. Rather than trying to fix a polluted body of water, it is better to prevent pollution in the first place. With that in mind, ESF's Council on Water Resources Systems Science, using suggestions from EPA's Non-Point Source Program, has compiled a list of things residents can do to limit NPS pollution. Call your local government officials to learn about proper community waste recovery procedures for substances such as used oil, antifreeze, paint, fertilizer and other household chemicals and toxics. Remove litter, pet waste and debris from the yard before it is carried by storm runoff to surface waters. Apply lawn and garden chemicals sparingly and do not pour excess down the drain. Control soil erosion on your property by planting ground cover. Select non-toxic cleaning products that will not harm the environment. When cleaning a boat, put it in dry dock and use a drop cloth. Clean cars away from water sources. Vacuum up loose paint chips and dust before they enter the water. Carefully fuel the boat or car engine to prevent spilling and do not overfill the tank. Keep boat and car motor well tuned to prevent fuel and lubricant leaks and to improve fuel efficiency.